Paragon Physiotherapy Limited has joined forces with Northern Medical Ultrasound in order to provide our customers with the opportunity to have an ultrasound scan at our clinic. Scans can offer a definitive answer when the physiotherapist needs to see what exactly is happening inside, in order to ascertain the best possible course of treatment. Northern Medical Ultrasound carry out the scan, using state of the art equipment, at our clinic on Skipton High Street. Once the physiotherapist has recommended a scan contact is made with Northern Ultrasound. Appointments are usually available promptly and you could be seen within 48 hours. Evening appointments are available when customers are unable to attend the clinic during the day. Scans can take from between 10 to 20 minutes, depending on your area of pain. 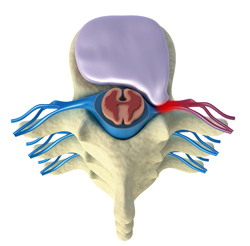 It is not usually painful and no special clothing is required although good access to the area of pain is necessary. During the scan a practitioner will ensure all angles are checked and the images are clear. You will then be given an explanation of the findings. On completion of the scan a written report will be produced, along with the images of your scan. Reports are often produced on the day with some taking longer. These will be posted out to you within 48 hours. The images and report can then be shared with your physiotherapist and your doctor where necessary in order to aid treatment. Chronic pain or a recent injury and need a prompt, accurate and definitive prognosis? Contact us for an assessment, scan where necessary and bespoke treatment plan. Our aim is to always provide the best possible care for all patients and, by collaborating with Northern Medical Ultrasound we believe that the best possible care, with minimal waiting times, is ensured from Paragon Physiotherapy. Please contact us with any queries regarding this or any of our services.